dublin county antrim? u sure? Yes sorry about the photo "topdog_andy" it was the only one i could find! 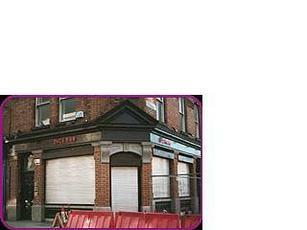 Glad to hear the place has still got the "vibe"
Definitely will be my first port of call when i go back to Dublin. Cool place - the photo doesn't exactly do the place justice, does it. I'm pretty sure Huey Morgan from The Fun Lovin' Criminals is a part owner, and set it up to look like a Lower East Side bar. As he would say, this place is schmoove. The beer selection is identical to 99.9% of the other bars in Dublin, but the place has a great vibe, and as Winchesterclub pointed out, far enough out of the city to avoid the hen/stag/loutish crowds. The whole place is painted black with a large bar running down one side usaul suspects behind the bar but also had some interesting micro brewey beers as well as my favourite Smithwicks.Think the main selling point is that it has a DJ every night who plays anything he can get his hands on,he played Johnny Cash,AC/DC,and Nancy Sinatra all in a row and the crowd loved it.